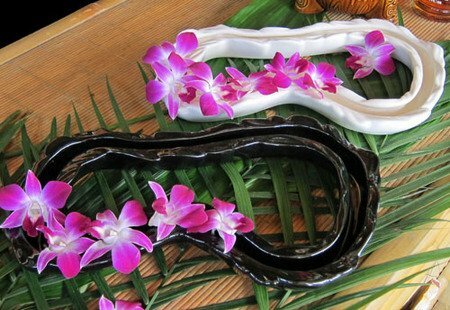 These unique flower vases are heavy ceramic in the shape of a lei and can be used alone or with water and flowers. 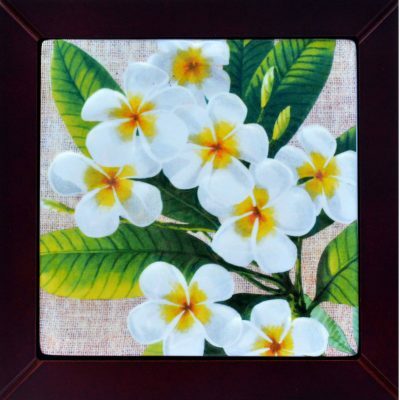 They work well with orchids and plumerias and make great centerpieces, displays and unique gifts. 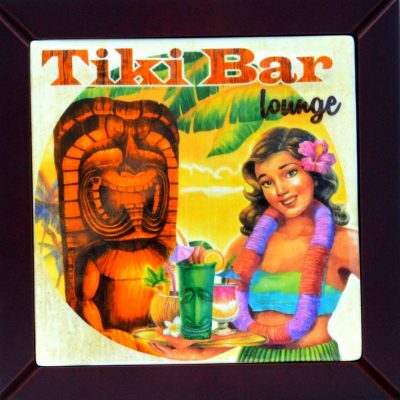 Great idea for your next luau or tiki party. Authentic Hawaiian island decor. Measures 9 X 15 X 1.5 inches and 3lbs. 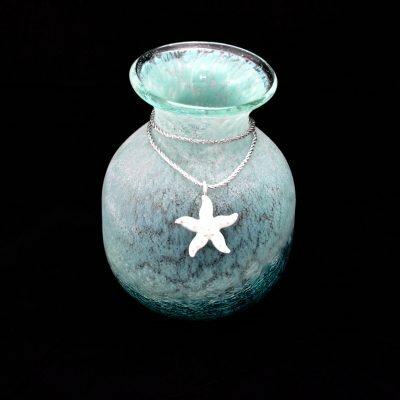 These vases are hand made in small batches in a local artisans studio. Proudly made in the USA!